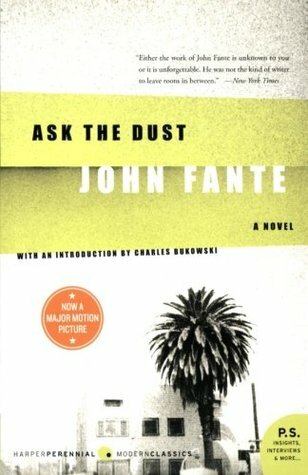 Ask the Dust is the story of Arturo Bandini, a young Italian-American writer in 1930s Los Angeles who falls hard for the elusive, mocking, unstable Camilla Lopez, a Mexican waitress. Struggling to survive, he perseveres until, at last, his first novel is published. But the bright light of success is extinguished when Camilla has a nervous breakdown and disappears . . . and Ask the Dust is the story of Arturo Bandini, a young Italian-American writer in 1930s Los Angeles who falls hard for the elusive, mocking, unstable Camilla Lopez, a Mexican waitress. Struggling to survive, he perseveres until, at last, his first novel is published. But the bright light of success is extinguished when Camilla has a nervous breakdown and disappears . . . and Bandini forever rejects the writer's life he fought so hard to attain.